While mathematics tends to put a damper on many hobbies, astrophysics is one that escapes such things. One of the most interesting aspects of the subject are the theories that are floated around, all of which seem to have a finite life. It seems that almost as soon as one theory is uniformly accepted, it is soon trumped by something more plausible. People are often slow to grasp concepts put forth, such as in the 1600s when Galileo declared that the Earth revolves around the sun. While the notion was quickly dismissed back them, time and research have shown that he was indeed correct. What this, and many other theories, shows is that every concept or idea is nothing more than a mere stepping stone to the final truth. What is that truth? We may never find out, but it sure is fun getting to it. 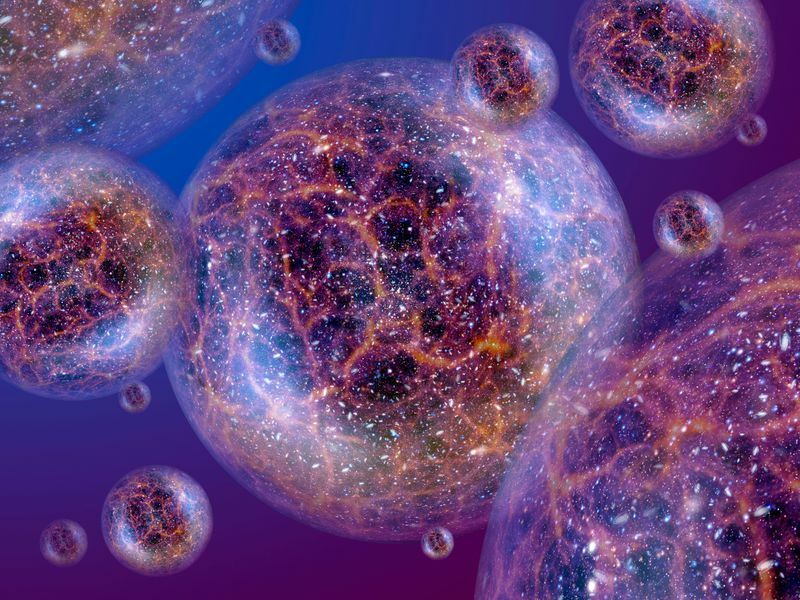 We don’t have to look so far back into history to understand where the idea of a multiverse or meta-verse came from. MIT professor Alan Guth first spoke about the idea back in 1979, using theoretic and mathematics to hypothesize that the expansion of particles in our ever growing universe was a sign that there were actually many more universes (multiverses) out there. The actual number is essentially uncountable since big bangs are a common event that creates an unfathomable number of galaxies and solar systems. Math may be painful to most, but there can be no denying the role that it plays in everything. For a clearer idea of the role that math plays in the world around us, you should take time to read, “Is God A Mathematician” by Mario Livio. As kids, most of us were introduced to numbers at a very early age, but our math skills were limited by the highest number we knew. Adults would talk about billions and trillions, yet no-one seemed to be aware of what the biggest number. The reality is that there may actually be no such thing, which is where infinity comes into play. It’s a difficult notion to comprehend, especially when you are young, but you have to imagine that infinity is all that truly exists and that everything else in the universe has to be compared and contrasted to that. This brings us full circle to the concepts of the size of space. What we know is that our little planet resides in our Solar System and is part of the Milky Way. What lies beyond that has been exploring to some degree, but we are limited by our technology, as well as the fact that multiverses may be springing to life each and every second. This may explain why were are constantly discovering new things as we are able to look deeper and deeper into space. Who knows what we will be able to see in the future, and how small it make us feel. Will we find out that space is indeed finite? Will we discover that these multiverses that Guth spoke of actually contain life? Those answers are limited by the things that we can see with the naked eye and with the use of telescopes. It may be that planets are already thriving in our solar system, but that we are simply unable to see them at this given time. The possibilities, like infinity, are totally endless.